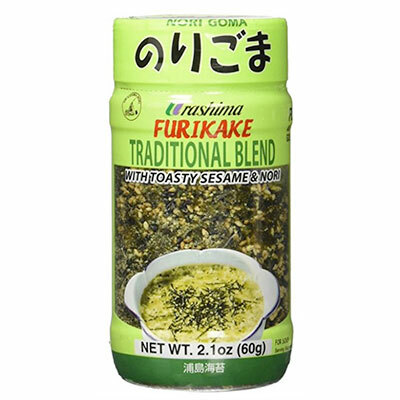 Using furikake in Japanese cooking is as common as salt & pepper in the U.S.
Furikake (pronounced furee-kah-kay) has been the love object in many kitchens for the past year, like Sriracha or “everything” bagel seasoning were in their time. Basic Furikake is a dry Japanese seasoning that combines bonito flakes (dried fish) and seaweed or seaweed seeds and toasted sesame seeds. Other classic recipes can include sugar and salt. It comes in a variety of flavors – wasabi, seasoned nori seaweed, salmon and shiso (dried and crushed red perilla leaves). 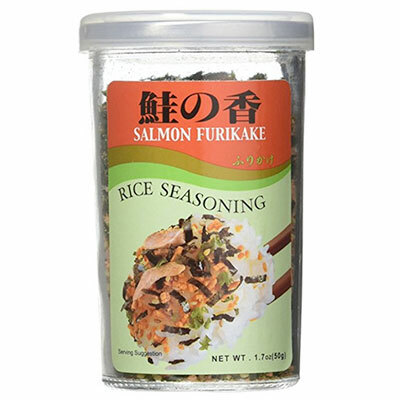 The word ‘furikake’ means ‘sprinkle over’. It has a savory and salty flavor. 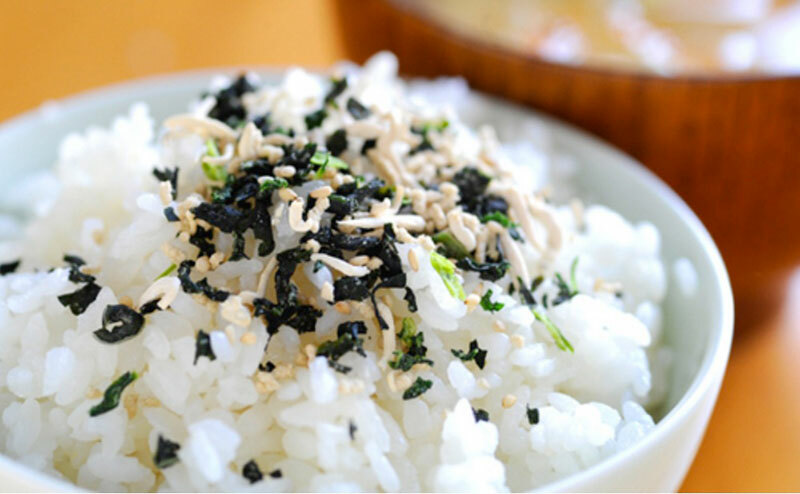 Furikake is credited with adding a blast of umami to food. Umami is a fifth taste in Asian cooking after sweet, sour, salty and bitter. See our earlier umami article. 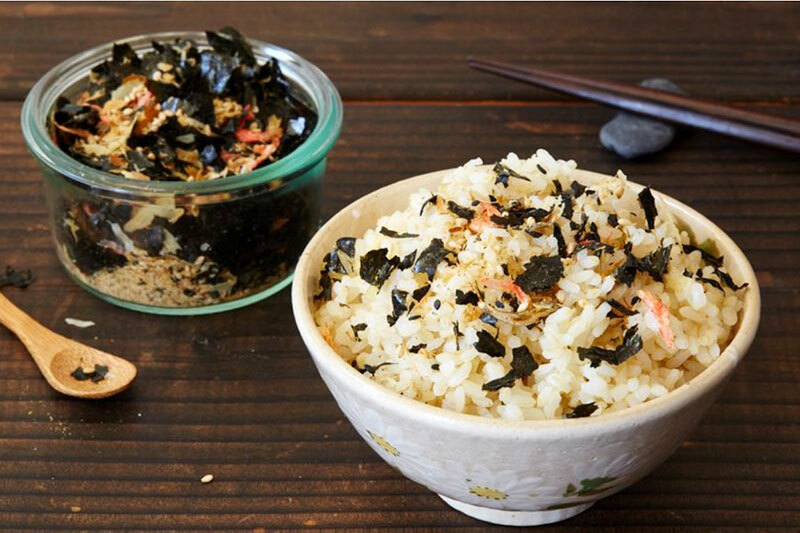 Furikake has been described as crunchy, salty and nutty with a slight seafood taste. Additional ingredients will influence the taste. It is most commonly used sprinkled over rice. It is used on fish and vegetables. It can be used to flavor rice-based snacks like sushi rolls or rice balls. Sprinkled over fresh cooked pasta. As a delicious popcorn flavoring. To liven up a salad. To add a little zip to soup. 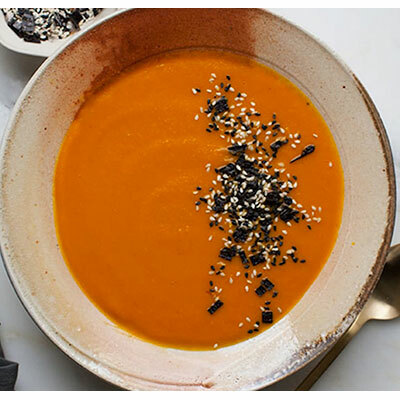 Add it to roasted or grilled vegetables. There are so many varieties of Furikake and so many companies producing it, most Japanese markets reserve an entire grocery section just for Furikake. It’s an enormous food category. It is sold in jars made for shaking over food, or in packets meant to be mixed into the food in your bowl. This 2.1 oz. package of furikake is the traditional blend. $9.49. This 1.7 oz. package of salmon furikake is $6.55. 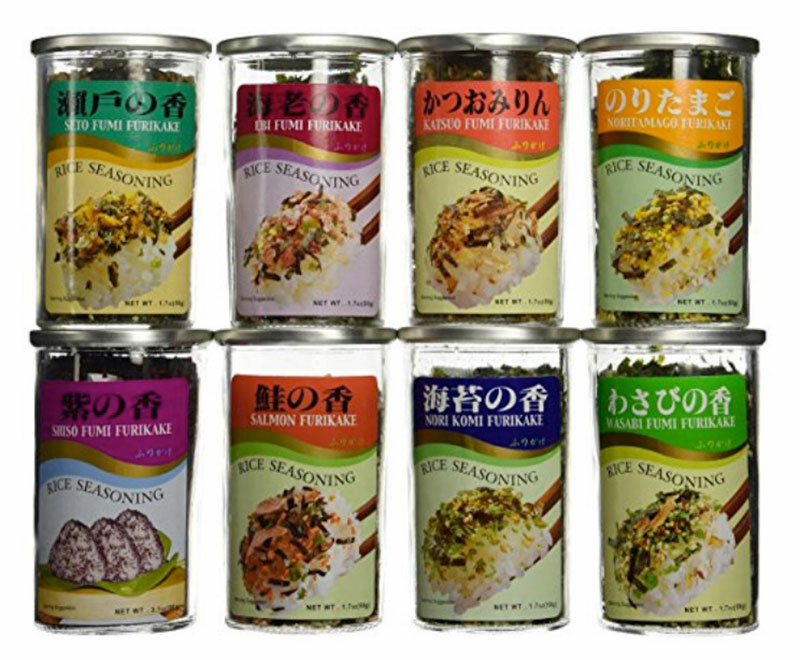 If you want to go wild experimenting with various flavors, try the 8 Variety Furikake Set for $29.24. It has the following flavors : ebi (shrimp), katsuo (Bonito fish), nori (seaweed), noritamago (seaweed and egg), salmon, seto fumi (classic recipe), shiso fumi (perilla leaves) and wasabi. None contain MSG. Furikake can be made at home with any dried or savory Japanese ingredients that sound like they’d be good over rice. Consider adding dried anchovies (niboshi) or shrimp (hoshi ebi), nori (seaweed) dried egg, or salmon roe for flavoring. Check your pantry for other dried ingredients like smoked salt, crackers or nuts. It lasts up to two months in an airtight jar stored in a cool, dry place out of direct sunlight. Toast the sesame seeds in a dry frying pan over high heat for about a minute, constantly shaking the pan, until they smell toasty. Immediately transfer them to a bowl so they don’t continue cooking. If your nori is not crisp enough to crumble easily, you can toast it for about 30 seconds by waving it over a gas flame, or placing it under a broiler. Be careful not to burn it! Crumble the nori into the bowl with the sesame seeds. Crumble the bonito flakes into the bowl with the sesame seeds and nori. Add the tiny dried shrimp and anchovies, if using. Season the mixture with salt and sugar, and mix thoroughly. Transfer it to an airtight jar. This will keep indefinitely, but the flavor is best in the first month or two. 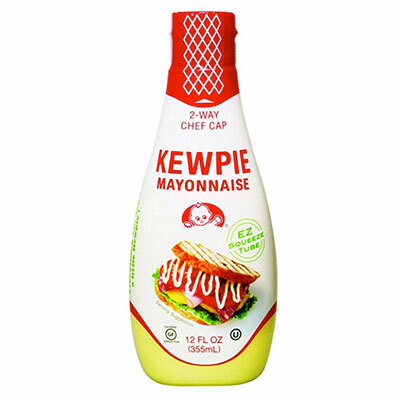 Food52 suggests adding some Kewpie Japanese mayo to cooked rice and sprinkle with furikake. $7.99 for 12 oz. Sauté sliced delicata squash, toss with a marinade of honey, garlic and miso. Sprinkle furikake on top. Add some furikake on top of guacamole. 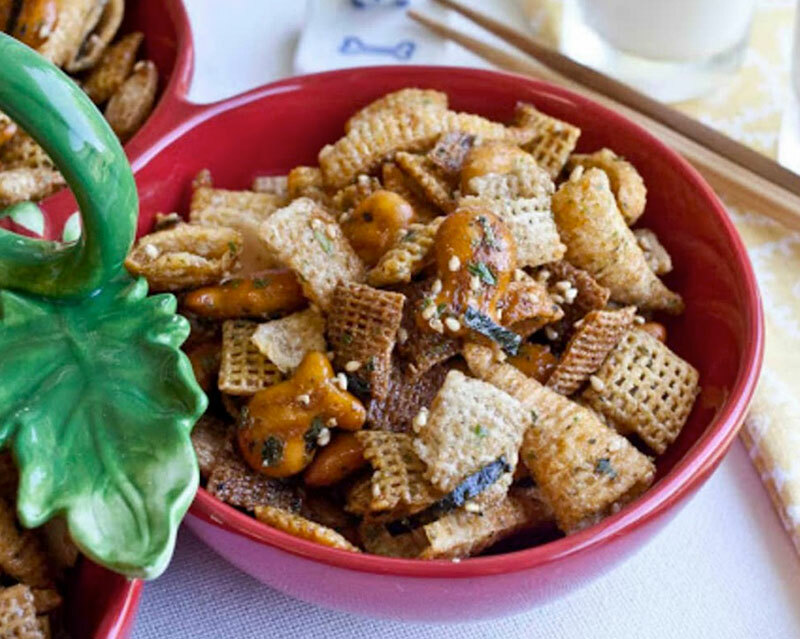 Make a batch of Chex mix. Sprinkle on a bowl of creamed soup. Add furikake to Ramen soups. Add to thin cut French fries.